The Five Capitals coaches are located all over the country and are hosting events near you. Check out our regularly scheduled tasters events, book one of them for a workshop or intensive with your team, or engage them to speak at one of your events. A great way to introduce your team or associates to Five Capitals coaching while receiving practical tools for business growth. 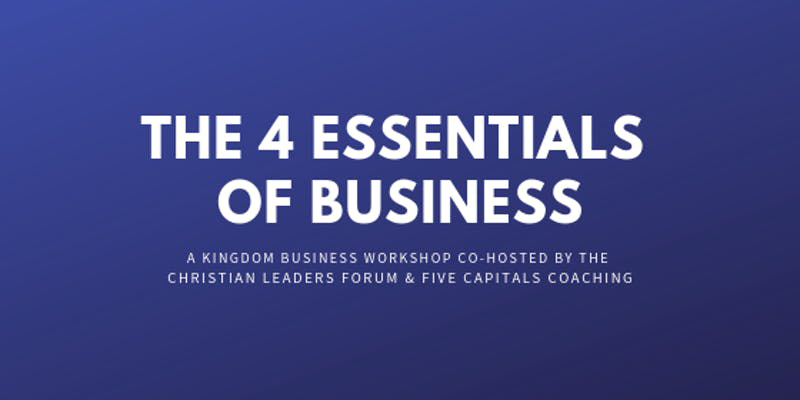 Join us as we share The Five Capitals and Four Essentials of Business. Sessions will not only give inspiration, but you will leave with tools to immediately apply at work and home. Teaching and training leaders and teams. While weekly coaching can go a long way in one’s pursuit of change and transformation, individuals and teams can see accelerated growth and success through longer, more intensive times together. 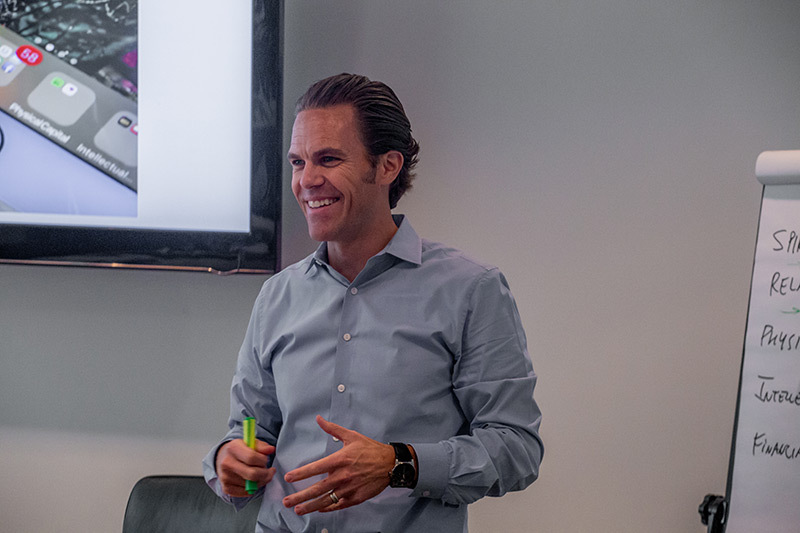 The Five Capitals team offers team workshops on Brand Clarity, Strategic Planning, Leadership Practices, Organizational Culture, and much more. The Five Capitals team welcomes opportunities to speak to audiences around our core content as well as on topics specific to a conference or organizational theme. Five Capitals speakers are regularly sought out and have spoken all over the world. Schedule one of our speakers or join us at one of our scheduled events below. Our coaches are prepared to speak at your next employee training, business gathering, or church staff retreat on a variety of topics. Reach out to discuss a variety of topics. 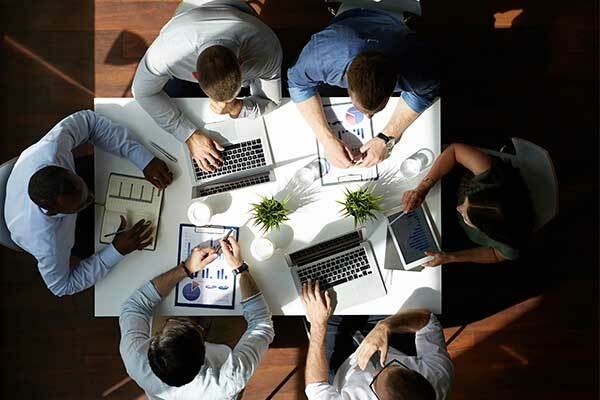 The Five Capitals team offers strategy sessions, team building intensives, and guided retreats on a variety of topics such as Brand Clarity, Strategic Planning, Leadership Practices, Organizational Culture, and much more. Will we be in your area soon? If you are new to Five Capitals, you have the option to attend a single event. This will enable you to experience a taste of the Five Capitals Journey before fully engaging in it. Check out our upcoming events below, or reach out to schedule one near you. Come learn how “The 4 Essentials of Business” can Transform your company. Get an overview of the “Five Capitals”, a framework for ordering your business and life for maximum potential and profitability in today’s demanding world; Get insight on the “4 Essentials of Business” that, if optimized, will exponentially improve company performance; Walk away with practical tools and concepts that you can use to make an impact quickly.